Featured image by Bob Hodson. As we enter August, summer is both in full-swing and approaching its end simultaneously. And that gives us all the more reason to go out and enjoy it! And what better way to enjoy our beautiful summer in Orange County than by supporting local business, charities, and the arts? When: every evening through September 1st. The Pageant of the Masters is the Festival of Arts’ crowning jewel and arguably one of the most unique productions in the entire world. In the 2018 show, titled “Under the Sun,” theatrical magic, live music, and light-hearted storytelling will honor Laguna’s own and other artistic pioneers from around the world who left their studios in search of new inspiration. There will also be no shortage of fun and surprises as the Pageant acknowledges two local milestones: the 85th anniversary of “living pictures” at the Festival of Arts and the 100th anniversary of Laguna Art Museum. You won’t want to miss this exciting salute to a world of “art that lives and breathes” beneath the stars in the Pageant’s beautiful amphitheater. Learn more at the Festival of Arts Pageant of the Masters website. 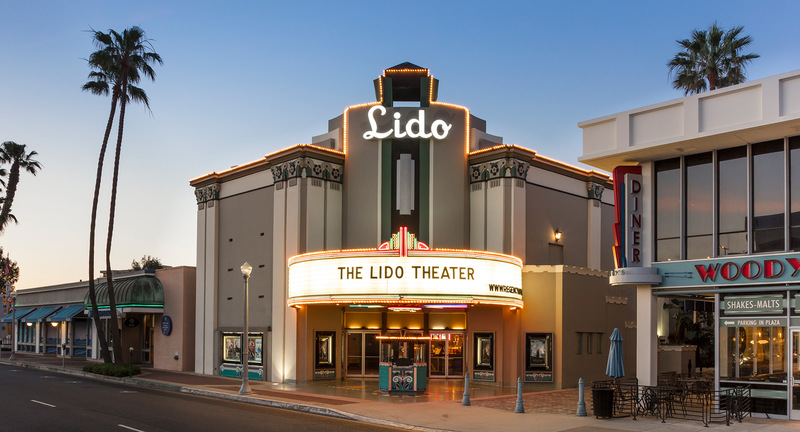 The Lido Theater in Newport Beach is celebrating its 80th anniversary with two back-to-back charity events to benefit Lupus International. A Bill Medley concert and a showing of the Oscar-nominated Jezebel, the film that opened the Lido Theater in 1938, will mark the milestone for this iconic Southern California movie theater. On Wednesday, August 15th at 6 PM, Rock n’ Roll Hall of Famer Bill Medley will return to Newport Beach, his home of nearly 40 years, to host A Simple Evening with Bill Medley, a benefit concert for Lupus International. This will be the ninth year that Medley has done the concert to honor his late musical partner Bobby Hatfield and his wife Linda, who lost her battle with lupus in 2010. Learn more and purchase tickets at www.lupusinternational.com. The following evening, on Thursday, July 16th at 6 PM, the Lido Theater in partnership with the Newport Beach Film Festival, will have a special Champagne and hors d’oeuvres reception followed by a screening of Jezebel at 7 PM. The acclaimed movie starring Bette Davis and Henry Fonda first opened the theater in 1938. It has been said that Miss Davis, a Corona del Mar resident at the time, drove by the theater daily while it was under construction. She reportedly requested a sitting parlor in the ladies room, which was built and still remains today, and also told the original owners of the Lido Theater to open with her movie Jezebel, which they did. Learn more and purchase tickets at Regency Theatres. Both events of Lido Theater’s 80th Anniversary celebration will benefit Lupus International, which provides funding for support and research for this chronic autoimmune disease, as well as pediatric rheumatology fellowships at major teaching hospitals and leading research centers throughout the country. The Back Bay Amphitheater, located inside the Hyatt Regency Newport Beach, hosts the Summer Concert Series. An intimate venue, the amphitheater allows fans to get up-close and personal with their favorite musicians. Learn more and purchase tickets at Visit Newport Beach. This is your last chance to be a part of the Balboa Beach Boogie in the Balboa Fun Zone. All ages are welcome at this family-oriented fun-filled event with a DJ, dancing, giveaways, raffles, and no entry fee. The Ferris Wheel rides are also discounted during the event, so bring the whole family and take advantage of those discounted rates while enjoying the fun of the final Balboa Beach Boogie of 2018! We are excited to go out and continue enjoying summer in beautiful coastal Orange County with these summer events.